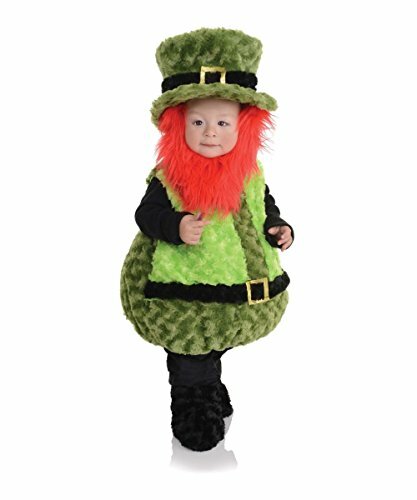 This is a fun costume piece for lads to wear on St. Patrick's Day or any time a green plaid Irish-style kilt is the right wardrobe choice. 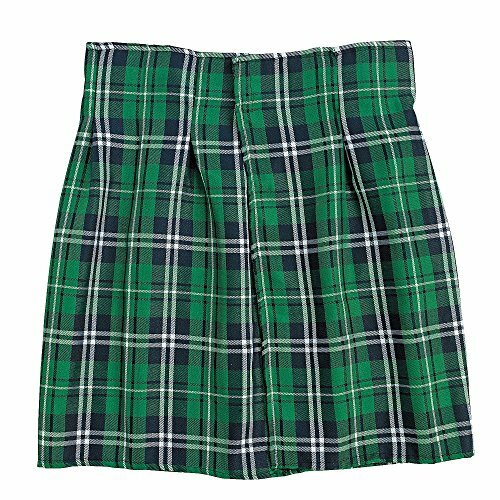 This is a one-size-fits-most kilt made of polyester with a velcro closure. This pleated costume kilt is about 20" long. 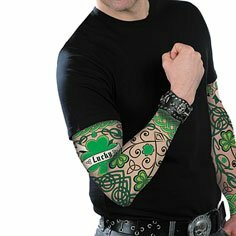 The pattern is a nice Irish style navy and kelly green plaid. 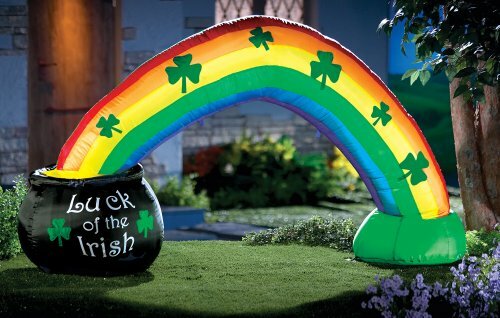 This is a great costume piece for St. Patrick's Day if you're looking to go green from head to toe!